The furniture should follow straight and simple lines. 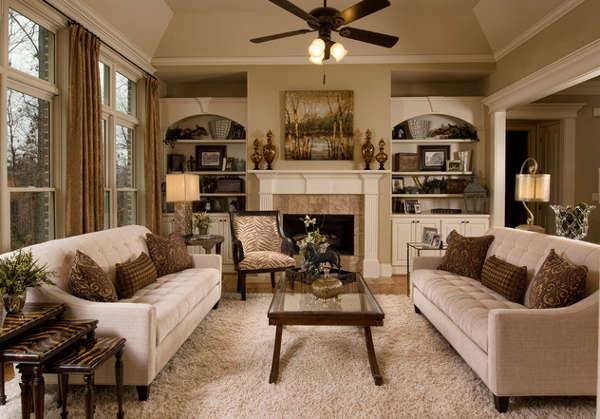 Also a neutral color scheme is applicable to attain a masculine style for your dining room. In case you want to include a fireplace in your dining area go for a minimalist design in a simple Corinthian style of neutral color. 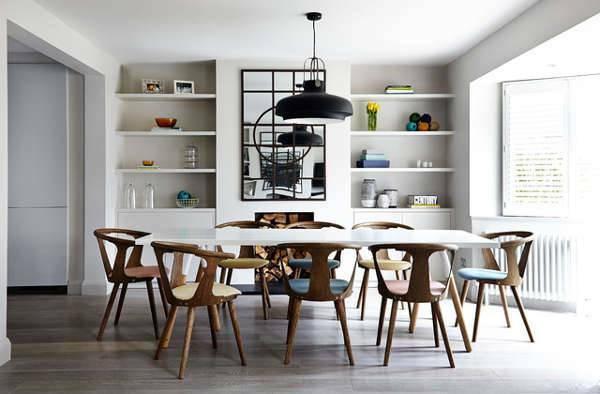 This modern dining room brings the 70s style back in this amazing masculine style. 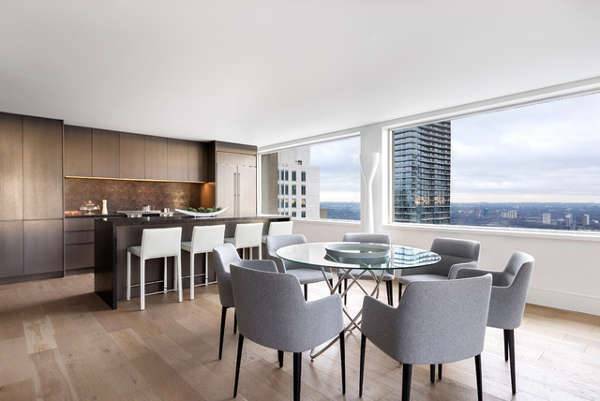 The simple lines of the furniture blend with the natural color of the oak wood. 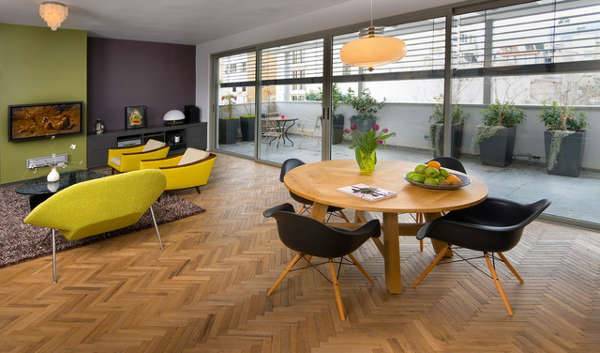 The chevron pattern of the floor adds a strong vibe of character that completes the masculine ambience of this spacey room. 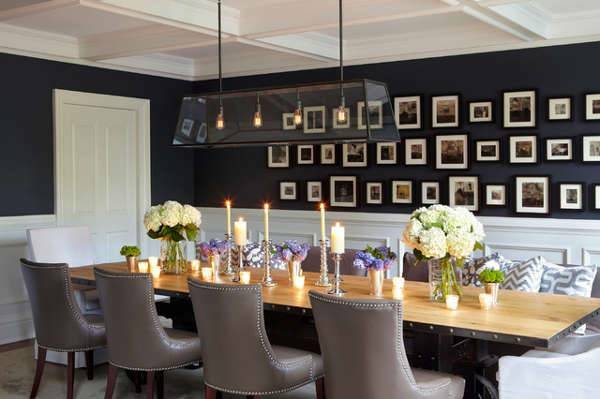 Use a dark color to set a strong feeling in your dining room. Like this traditional one, the dark grey color of the wall is broken by the photo frames that adorn it. The black details of the table and the metal light fixture provide an industrial look. 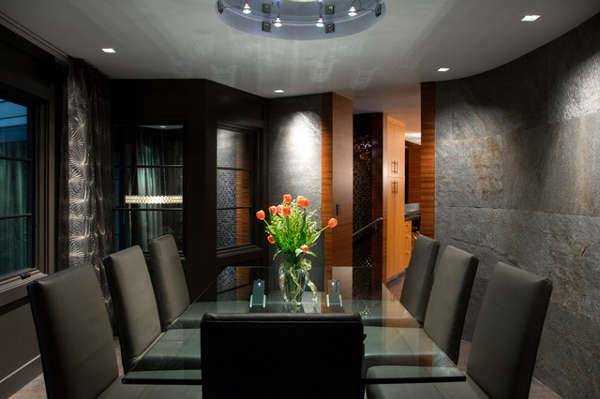 Designed By : Chango & Co.
You can get inspired by this contemporary dining room and consider installing masculine dining room lighting. The combination of metal and crystal is a compelling one that states a strong vibe of masculinity. Create a warm and still masculine style for your dining room by adding pops of color. 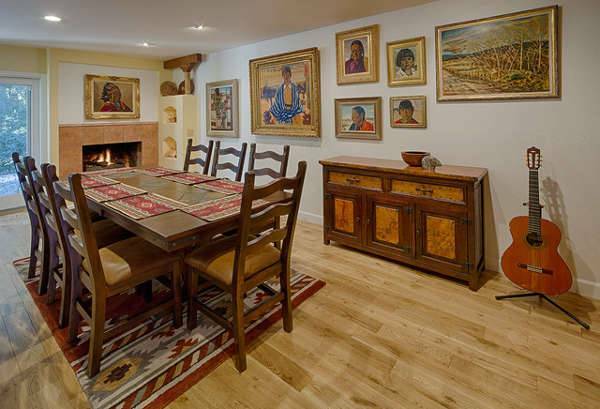 In this southwestern styled room, the wood grains of the flooring add a hard contrast to the woven colorful rug. 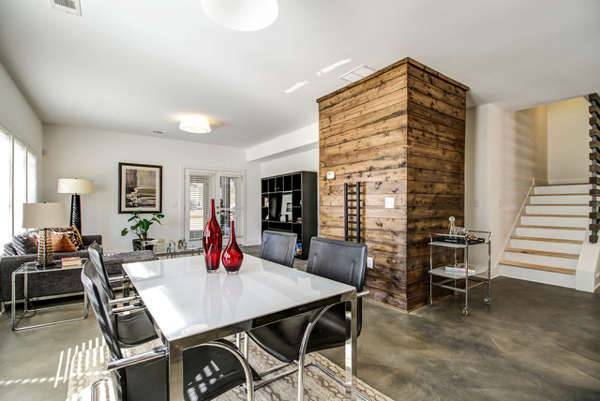 Incorporate masculine elements in an industrial styled dining room. Choose simple modern lines for the furniture and use dark colors for the hardwood flooring. A chainmail chandelier will add a tone of elegance in the setting. Bring together a synthesis of metal and wood to create a strong masculine atmosphere. Use these materials in metal framed chandelier and complete the look with a large intricate mirror to adorn your wall. 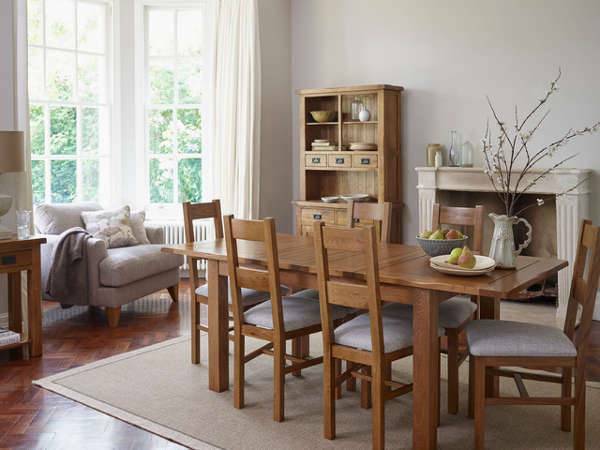 You can attain a rustic style with dining room masculine chairs. The black leather will bring a strong character to your room that you can complete with a wood paneled wall for an appealing look. This simple lined dining room has the basic elements of the masculine style. The raw materials of the wood and the marble add a vivacious ambience that gets a warm edge with the fabric textures. The masculine style can be adopted by both women and men. It does not constrain the personal style of genders instead it can be adapted to anyone’s personality and tastes. Don’t hold back. Go for this style and be sure to be rewarded by both family and friends for your style.